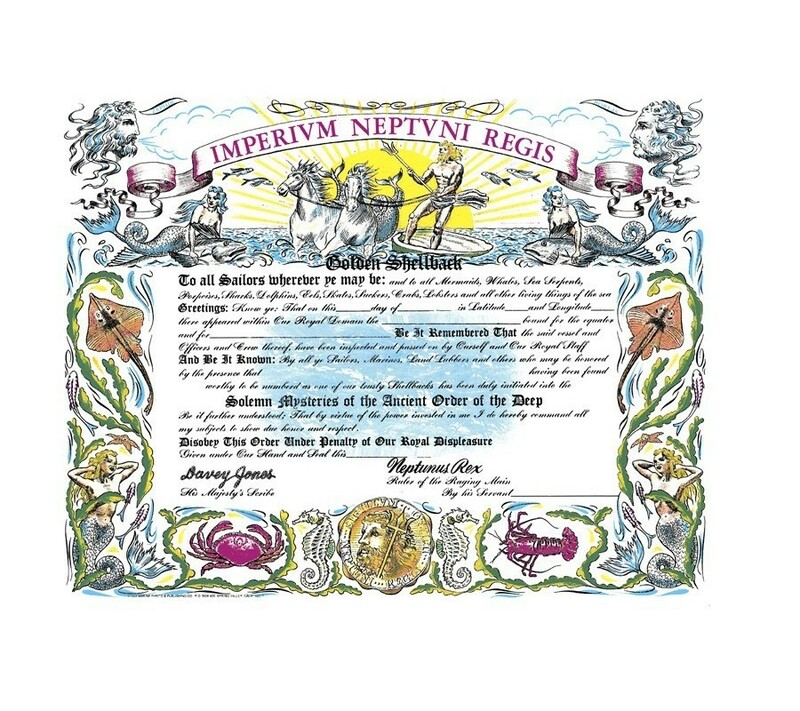 Golden Shellback - Marine Photos & Publishing Co.
13 x19 inch color certificate, gold seals, and wallet cards, with full or partial imprinting. Name lists need to be in electronic format and saved as an .xls or .csv file. Lists need to be corrected for mispellings and other mistakes prior to submitting and is the responsibility of the customer. Names added at a later time will be treated as a new order. For orders under 50 certificates, please add a $10.00 set-up fee for minimum order. No extra charge to add USN, USNR, etc. after name. 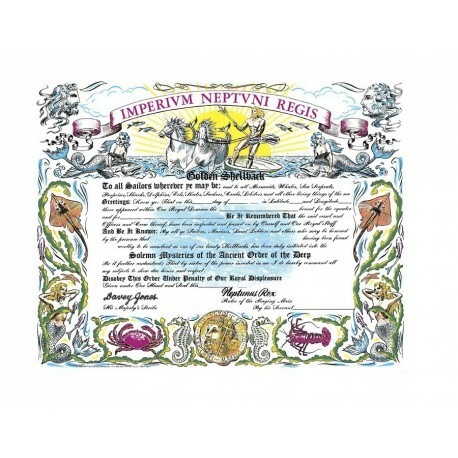 Add $25.00 (one time flat fee) for Commanding Officer’s signature printed on personalized orders. A signature in black ink on white paper is required scanned at 150 dpi or higher. Acceptable formats are tiff, jpg, or png. 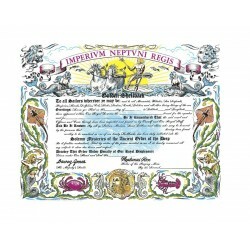 “Page 13″ Service Record entries for Shellback, Blue Nose, and Suez are .15/each in any quantity.